BORNO, NIGERIA (AFRICAN EXAMINER) – No fewer than 29 persons were reportedly killed, while 83 others wounded Sunday night in a clash between the troops and armed suicide bombers in Maiduguri, the Borno State capital. The bloody exchange according to army was to dislodge the suspected Boko Haram insurgents who invaded intended to invade the State capital. 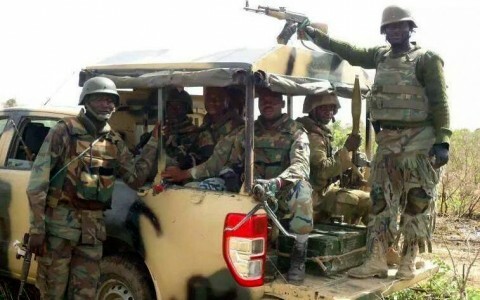 Reports confirmed that soldiers who were on guard at the outskirts of Maiduguri killed six suspected armed Boko Haram gunmen as well as seven suicide bombers during the clash. The casualties recorded were on both sides. 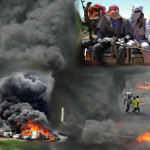 Following the fierce and long attack, residents of Maiduguri metropolis reportedly kept vigil from Sunday night till early hours of Monday. 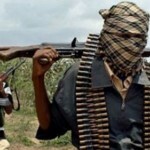 According to the military, the suspected Boko Haram suicide bombers and gunmen attempted to invade Maiduguri through the outskirts of Bille-Shuwa and Alikaranti villages. 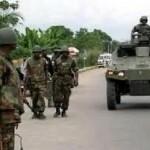 The Spokesman of Operation Lafiya Dole headquarters, Maiduguri, Col. Onyema Nwachukwu, alleged that the attackers would have made it into crowded areas of Maiduguri but the deployment of soldiers along the affected axis repelled them and saved another major attack. Col. Nwachukwu said the attackers were specifically on a mission to carry out major attack on Maiduguri. 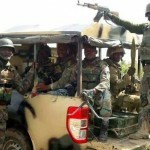 He disclosed that troops of Operation Lafiya Dole deployed to the Cashew Plantation around Bille Shuwa and Alikaranti villages resisted an attempt by Boko Haram terrorists to penetrate Maiduguri metropolis Sunday, at about 8.10 pm. The Military Spokesman also confirmed that troops also neutralized 7 suicide bombers in the encounter and recovered 2 AK 47 rifles as well as 2 Magazines.